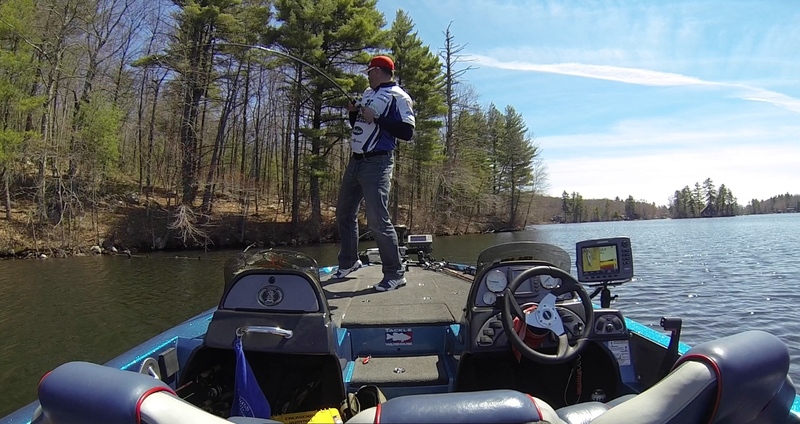 Being bass fishermen in New England, we’ve had to face a few facts over the course of our early careers as anglers. We know that a five pounder means a lot more out on the Concord River than it does on Falcon Lake. We laugh when we constantly read about creek channels in Bassmaster Magazine (whats a creek channel?). And we also have learned that fishing up here can be pretty tough at times. It seems like this season has picked up where last fall left off – challenging. 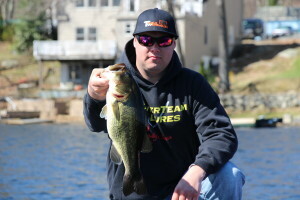 Between 30 degree temperature fluctuations and late ice-outs for the whole region, it has been hard to catch both numbers and size consistently this spring. Even though none of this is anything new to New England fishing, we can still look at every situation as a learning experience. The funny thing is, I have taken some recent situations as learning experiences – even though I wasn’t sure what I was learning. 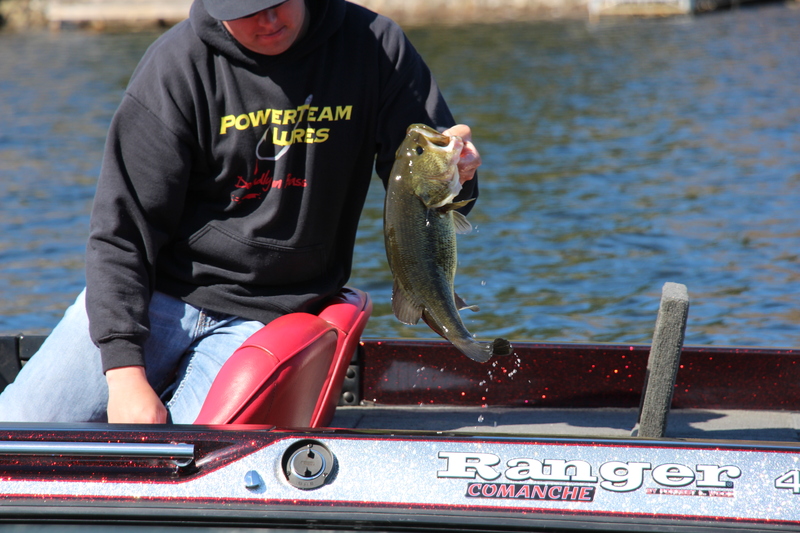 As anglers, we’re always speaking of patterns pertaining to catching bass. It’s the patterns of productivity that serve as our compasses to victory at our tournaments. And its also these patterns that get logged in our ledgers for seasons to come. This past week, I hit a lake in Central Massachusetts that I have never been to before. I loved this place, as it pertained to multiple styles of fishing that I gravitate to. But, I went to the lake twice in three days and had completely different experiences under the same conditions. I found this strange considering as the waters became more fertile to producing quality fish, the average size actually decreased. It is interesting that over the course of the warming trend that hit New England this past weekend, the fishing didn’t necessarily improve. The first day we were out there it was warm, sunny and a manageable breeze around 15mph. Between the two of us, we caught some nice fish with our best 5 going for around 15lbs. It seemed like every fish we caught that day was a female. Two days later, when I returned, I boated upwards to a dozen fish – none of which were greater than 1 – 1.5lbs. These fish were caught under the exact same weather conditions, using the same methods. By the time I left on day two, I was observing surface temps around 60 degrees in some places. After day 1 on the lake with Carl, I checked the forecast for the next few days. 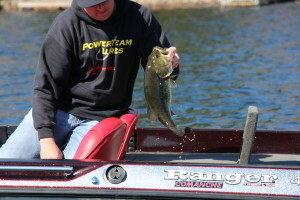 I figured that the sunny, warm temps would be getting these fish all sorts of fired up, so I decided to come back ASAP. Some people might say, in regards to day 2, “Well, maybe you just didn’t bump into any big ones/females.” While that could be true, I fished hard from 6am to around 5:30pm. And I mean, I fished hard, not even stopping for lunch. So I doubt it was the matter of bumping into big ones. The differences between the two days were stark. The big females we caught smoked our baits like it was their last meal. We worked hard for the few bites we got, but the bites we got were all quality fish. When I returned in a couple days, the “cookie cutter” males weren’t going crazy for my offerings, but seemed to short strike my jigs and plastics – almost like fish defending beds. It was a strange experience. So much for the “reaction bite” in the spring, because on both days, that got us nowhere. I would really like to create some discussion on the matter of fish behavior during the pre-spawn months. Why would a warming trend shut off the big fish bite, and turn all the cookie cutter males into ravenous feeding machines? Also, why would all of the typical fish catching methods for pre-spawn fish get yield us not one fish? It was certainly one more dynamic scenario added to the laundry list of dynamic scenarios I’ve experienced in my short time bass fishing here in the north east.